Get a free appraisal from a good jeweler, a professional diamond buyer, or even a pawnbroker. Tell the appraiser how you want to sell your jewelry so that they can provide you with the most realistic idea of the resale value. Getting free appraisals from two or three different stores will help you get a good idea of how valuable your diamond jewelry actually is. Approach this process without unrealistic expectations about your diamond jewelry. Keep in mind that dealers and jewelers are in this business to make a profit, and if they agree to purchase your jewelry then they, in turn, have to make a profit out of it. Having unrealistic expectations will only lead to disappointment. Familiarize yourself with the relevant information needed to sell diamond jewelry. Color: Diamond’s value is determined by its color. The most valuable diamonds are those without color, as their reflective qualities are superior compared to colored diamonds. The closer the diamond is towards the no color range, the higher its demand. Exceptions to this rule are pink and blue diamonds, which are far more valuable. Cut: Little known fact: the shape of the diamond is different from the cut. Diamonds come in round, square, and oval shapes, among others. The cut is the angle and the finish of the diamond, which determines the brilliance of the light reflecting the abilities of the stone. Both shape and cut are very important for a valuable diamond. Clarity: There are two types of flaws a jeweler looks for in a diamond: imperfection and inclusion. Imperfections are scratches on the stone or if the stone is chipped. Inclusions would be an air bubble, other mineral content, or cracks within the diamond. Carat: This refers to the weight of the diamonds. One carat is equal to 200 milligrams. Don’t confuse karat with carat. Carat measures the weight of diamonds and other stones, whereas karat measures the weight of precious metals like gold and silver. The best thing you can do is to obtain certification for your diamonds. One of the best certification institutes is the GIA or Gemological Institute of America. They won’t be able to help you with a monetary estimate, but they can provide detailed information about the four Cs of your diamonds. With this certification on hand, you will be an educated seller, deterring sellers from quoting you a low price. Clean your diamonds and jewelry professionally before you take them to a buyer. Smudges and dirt can distract a potential buyer or make it difficult to determine the exact value. 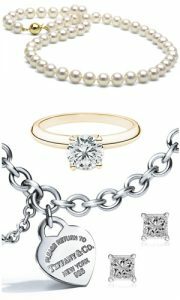 Know your options for where to sell diamond jewelry. You have many different options. You can take it to a dealer or a jeweler, or you can also sell it online on e-commerce sites such as eBay, or even opt for consignment shops. If you want fast cash, then a jeweler or a dealer is your best option. If you plan to sell diamond jewelry online, there are greater risks and it may take time for you to learn how best to sell your products on the different platforms available. This choice is much simpler if you already have experience selling online. Familiarize yourself with the second entity of your diamond jewelry, the metal that your diamond is bound in. You will need to know the type of metal, its weight, and its carat or purity before you sell it. You will also need to know if the piece is antique, or the design is particularly rare. If you know that your diamonds are high-quality diamonds devoid of any imperfections or inclusions then they are more valuable out of their settings, as it allows the potential buyer to examine the diamonds freely and you will get a better price. When your diamond has flaws or inclusions which the setting is hiding and the diamond looks better in the setting than it would otherwise, leave them in place, which may fetch you a better bargain. NYC Bullion buys a variety of products such as metals that range from the ever-popular gold and silver to diamonds and scrap metal. Our purchasing team is readily available to assist you with selling your precious metals. Please don’t hesitate to contact us for more details and for getting a quote.